Get HEC Indigenous Scholarship 2018 for Undergraduate Program Online Application Form | www.hec.gov.pk. 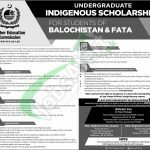 The Higher Education Commission is the familiar organization is inviting the students of Balochistan & FATA to apply for the "Indigenous Undergraduate Scholarships Phase-II" for the academic year 2018-2019. It is the fines opportunity for those individuals from Balochistan & FATA who are looking forward to completing their Undergraduate Studies from the universities recognized by HEC. So, all the students are welcome to cash this opportunity by applying on the prescribed form available at www.jobsalert.pk and make your future fruitful and bright. So, after having the information and little introduction now its turn to have a look at its rest of the requirements below. Students should fulfill the following educational requirements to apply. Candidates must have completed 12-year education with 60% marks in FA/FSc/I.Com/ICS/DAE or equivalent. Living allowance of Rs. 60,000 per month with Rs. 500 annual increment. Book allowance of Rs. 5000 per annum. Travel allowance of Rs. 5000 per annum. Initial Settlement Allowance of Rs. 10,000 (Once during the entire study period). The applicants who wish to avail this scholarship need to apply on prescribed form available at http://hec.gov.pk/site/PHOBF or available at www.JobsAlert.pk. Fill the application form carefully and submit it along with attested photocopies of CNIC or Form-B (for under 18 years of age), domicile and photocopy of father's/guardian's CNIC and one passport size photograph on the following address given below. Original online deposit slip/ATM transfer slip of Rs. 200/- (Non-Refundable) as application processing fee in favor of Director General, Finance, HEC is required during application submission procedure and fee can be deposited through any bank in Account Number 1742-79001334-01, Habib Bank Limited. The last date for submission of application August 19, 2018. The authority reserves the right to reject or cancel the process at any stage. The candidates who are availing the scholarship formerly in HEC/ Govt ineligible to apply. Last Date For Apply: August 19, 2018. Address for Islamabad: Higher Education Commission, Sector H-09, Islamabad. Address for Quetta: House No. 61-A Chaman Housing Scheme Airport Road, Quetta. 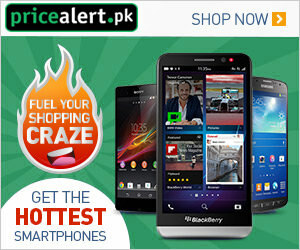 Address for Peshawar: Phase-V Hayatabad, Peshawar.